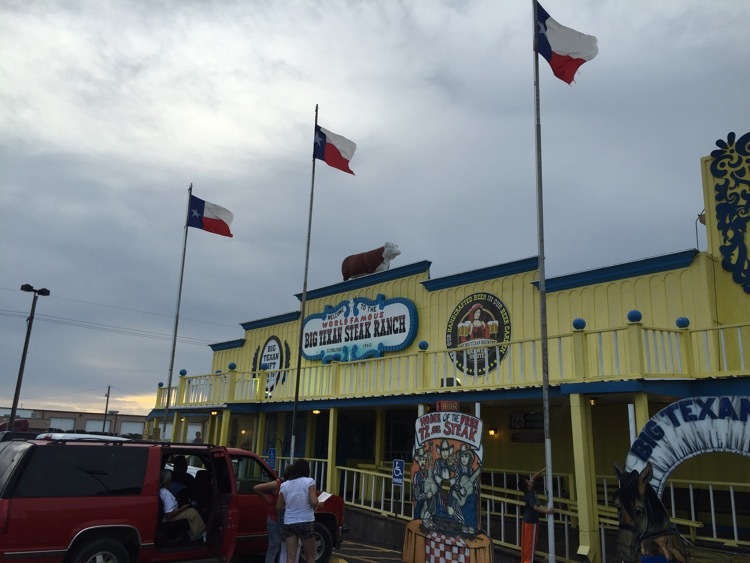 If you’ve driven through any parts of the American West, on or near I-40, you’ve likely seen the signs for the Big Texan Steak Ranch. 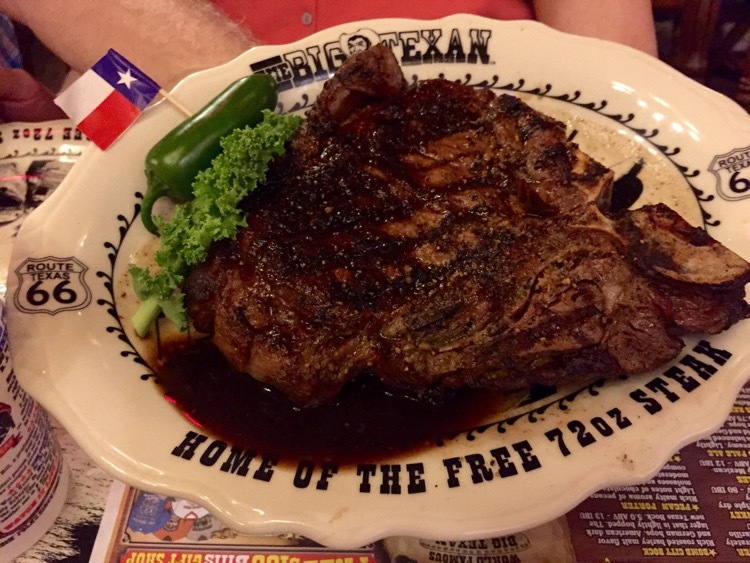 And their 72 ounce steak challenge – eat the shrimp cocktail, baked potato, salad, with roll, butter, and of course the 72 oz. steak, in one hour, and it is free. Don’t eat it and you pay the full $72.00. We have some friends in Amarillo, so I asked my beloved what she’d think about asking the McGs to join us for dinner. She thought it was a neat idea. I thought that it might kitschy for them, but they were excited to join us, and plans were made. which, as you can see, was dwarfed by the plate. Her steak was cooked exactly as she requested and fork tender. Our friends were sharing a 30 ounce porterhouse. This is the 20 ounce porterhouse that came to the table. 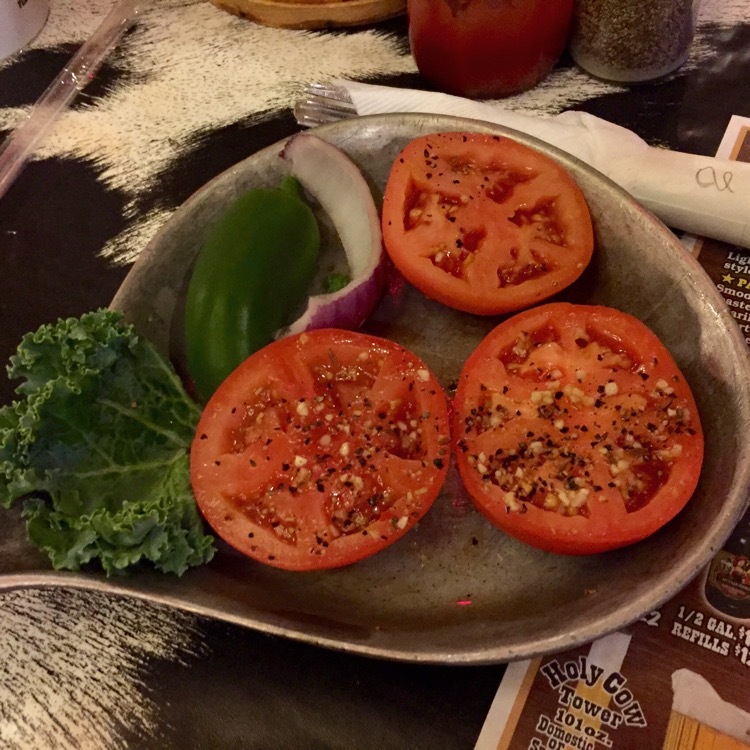 Nothing was said but shortly after the food arrived, the manager came to the table with a 10 ounce ribeye, apologizing for the mistake. 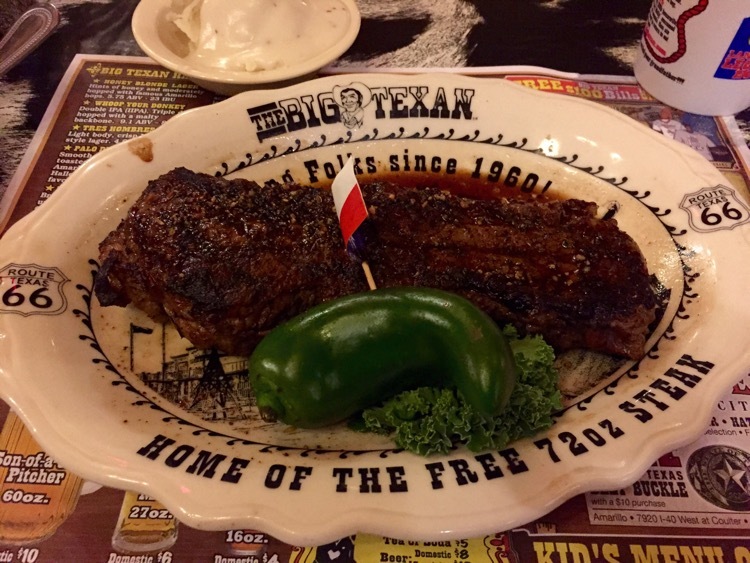 I chose the Texas strip. 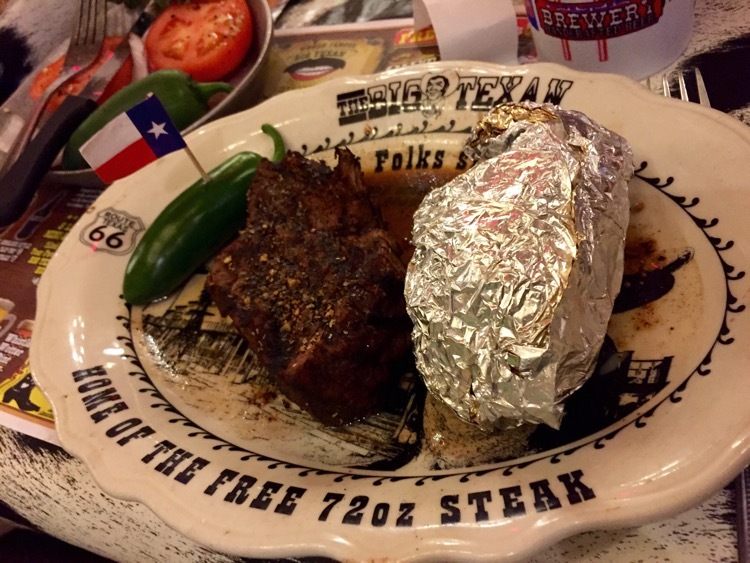 FYI – there was no Kansas City or New York strip here (we were in, by-God-Texas!) and it was a very good steak. I like a steak that tastes like beef (not fancy marinades or rubs) and this one was seasoned very well. Have I eaten better steaks? Sure. But I’ve eaten a lot that were worse for comparable money and the atmosphere is one you need to experience (they have a gigantic gift shop, there’s a roaming cowboy band). And the company could not be beat.